Whitestone at Wye Valley Woodlands (NRW)0300 065 3000work Viewpoint/Beauty SpotThe Wonders of Whitestone Walk (Three quarters of a mile, 1.2 kilometres). Discover some historic viewpoints along the ‘Wonders of Whitestone’ trail overlooking the dramatic Wye gorge and river. These viewpoints are on the route of the Wye Valley Walk which runs from Chepstow all the way to the source of the River Wye in Mid Wales. The Duchess Ride Trail (2.5 miles, 4 kilometres). Why not try a section of the Wye Valley Walk and take in these views - the best possibly being the Duchess Ride Viewpoint (with a welcome bench – great lunch spot!). This overlooks the Wye Valley with views stretching to the Bristol Channel and beyond on a clear day. 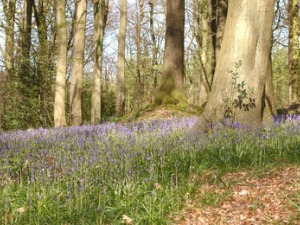 This wood is roughly 10 miles north of Chepstow and 12 miles south of Monmouth just off the A466. From the village of Tintern follow signs for Catbrook and Trellech at junction adjacent to the Wye Valley Hotel. Travel about two and a half miles along this road to a junction with Whitestone Car Park opposite. Follow the forest road up to the main car park and picnic site. The nearest railway station is in Chepstow. The Wonders of Whitestone Walk (Three quarters of a mile, 1.2 kilometres).